The original article on the Beta Male Conservative failed to meet my standards, so I rewrote parts of it. Has he been to Reddit or 4chan lately? Millions of users, and all of them are infatuated with science & scientists, STEM, nerd culture, libertarian individualism, high IQ, and technology entrepreneurs. The dumbing down so many fear isn’t a concern, as America is presently in an intellectual Renaissance. The left wants America to regress intellectually, technologically and economically, but they are failing. Second, liberals use science as a vector to push a political agenda that accomplishes the aforementioned goal, by trying to link industrialization with global warming. Republicans don’t deny science; they are skeptical of the politicization of science by leftist zealots. 2015, like 2013 and 2014, promises to be another great year for the nerds. 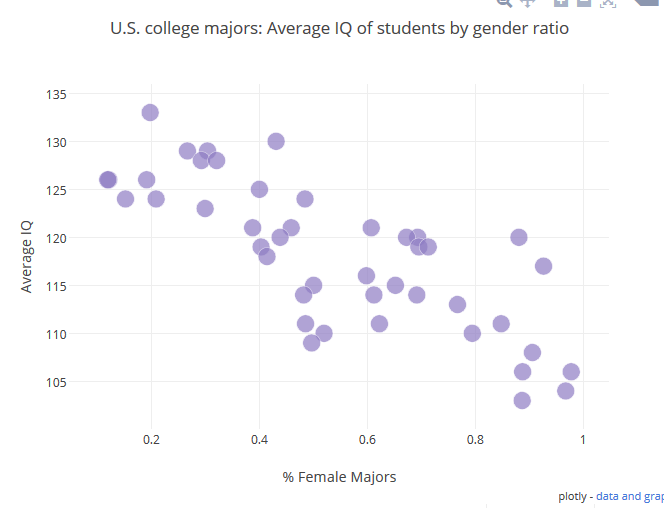 More evidence Larry Summers is right: women dominate the lowest-IQ college majors. Thanks to private equity, rich foreigners, and tech millionaires & billionaires, Bay Area home prices keep going up as other regions struggle with too much supply from the last housing boom. Libs like Shiller and other broken clocks call it a bubble, because they are losers. Winners create wealth, while losers hope crisis befalls the successful. Productivity keeps going up. 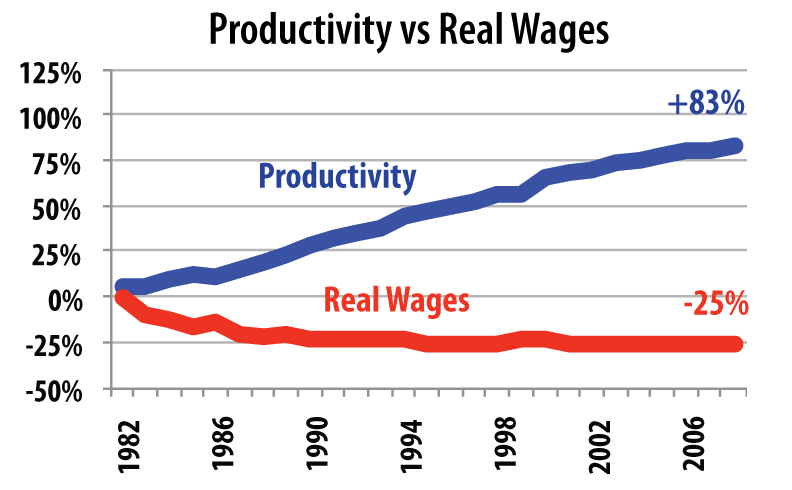 Long after the 2008 banking problem and dozens upon dozens of quarters of blowout profits & earnings, companies are still in overdrive cost-cutting mode, squeezing each worker to his or her asymptotic limit of productivity and firing/automating/outsourcing the rest. The theories concocted by the Harvard and George Mason econ departments are being applied to America today. To quote Tyler, average is over. To quote Charles Murray, we’re coming apart as a nation. Through real estate, stocks and surging valuations for tech start-ups, the cognitive elite or nerds are reaping most of the wealth in this unending post-2008 economic boom. College graduates with advanced degrees, especially STEM majors, have seen most of the real wage gains since 2009; high school graduates and college dropouts have fared much worse – a trend that will continue for many years to come.